The Royal Agricultural University or RAU (previously known as the Royal Agricultural College or RAC) is a university located in Cirencester, Gloucestershire, UK. Established in 1845, it was the first agricultural college in the English-speaking world. The university provides more than 30 land-based undergraduate and postgraduate degree programmes to students from over 45 countries through the School of Agriculture, the School of Business and Entrepreneurship, the School of Equine and the School of Real Estate & Land Management. The Royal Agricultural University was founded as the Royal Agricultural College in 1842, at a meeting of the Fairford and Cirencester Farmers’ Club. Concerned by the lack of government support for education, Robert Jeffreys-Brown addressed the meeting on "The Advantages of a Specific Education for Agricultural Pursuits". A prospectus was circulated, a general committee was appointed and Earl Bathurst was elected President. Funds were raised by public subscription: much of the support came from the wealthy landowners and farmers of the day, and there was no government support. The first 25 students were admitted to the College in September 1845. The College gained full university status in 2013 and changed its name accordingly. It had 1,185 students in the 2014/15 academic year and saw a 49% rise in applications between 2008 and 2013. The Royal Agricultural University was named the safest university in the South West in 2013, and is ranked top in the UK for spending on facilities. 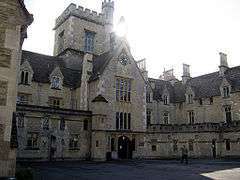 Construction of the main building, in Victorian Tudor style, began in April 1845, was designed by SW Daukes and Hamilton, and built by Thomas Bridges of Cirencester. Coates is predominantly arable cropped with some pasture land supporting equine activity; one set of farm buildings provides polo and hunter livery stabling and associated exercise facilities. Harnhill Manor Farm was purchased in 2009 and consists of around 491Ha of land. The farm was managed organically for many years but all the land apart from the outdoor-pig unit was taken out of organic management. The farm carries a 150-sow outdoor pig herd, managed as a joint venture with a business partner, alongside a 350-ewe breeding flock. Arable cropping is rotated with forage crops grown to support the livestock enterprises. In 2011, an old sheep shed at the front of the farm complex was turned into the 'Rural Innovation Centre' a building designed for the training of students and members of the public in vocational skills such as rough-terrain forklift truck driving, blacksmithing, chainsaw and welding course, etc. The building cost £1.2 Million to transform. The RIC was officially opened in March 2014 by Sir John Beddington and the site was visited in November 2013 by HRH Prince Charles. The university also uses numerous farms including a dairy enterprise at nearby Kemble Farms, and Fossehill Farm which provides stabling and exercise facilities. The RAU also uses numerous estates and businesses, both locally and further afield, for visits and practical exercises. Students have full access to the physical and financial data generated by the various enterprises and this is used in project work for a wide range of subjects, from practical livestock and 'crop husbandry', to conservation and farm woodland management, farm buildings, equine enterprise diversification, and rural business management. The RAU is one of just three remaining British universities that maintains their own beagle pack. Founded in 1889, the RAC Beagles is run by the students, who whip in and hunt the hounds, and until the 2004 ban, hunted hares in the countryside around Cirencester. The university has a range of sports facilities on campus; including a gym, an all-weather pitch, and squash and tennis courts, and offers a wide variety of sports and clubs for students to join; clay pigeon shooting, climbing, cricket, equestrian, football, golf, hockey, lacrosse, netball, polo, racing, rugby, running, sailing, scuba diving, ski and snow boarding, team chasing, tennis, and wakeboarding. In the REF 2014, the university came 29th and last in the UK for Agriculture. Some of the staff have been evaluated in the Research Assessment Exercise which recognised the importance of their research at national and, to a lesser extent, international levels. The university library holds around 40,000 print volumes, nearly 1,000 current journal subscriptions, more than 40,000 e-books and a growing number of full-text databases. The main collection is supplemented by a support collection and a historical collection of texts, primarily on agriculture and estate/land management, dating back to the 16th century. The library also holds the RAU archive, a collection of documents relating to the institution since its foundation. James Buckman was professor of geology, botany, and zoology from 1848 to 1863. John D. Custance was professor of agricultural science in the late 1870s, later was responsible for establishing Roseworthy Agricultural College in South Australia. John Scott, on the staff shortly from 1880, later became known as a tractor pioneer. 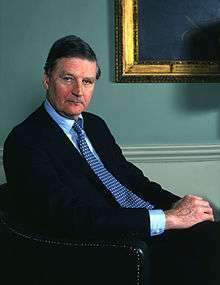 Sir Emrys Jones, former chief adviser to the Minister of Agriculture from 1967 to 1973, and director of the Government's Agricultural and Development Advisory Service (ADAS), was Principal of the college from 1973 until 1978. 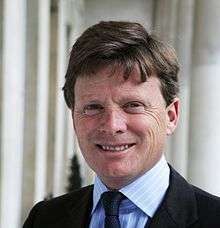 He described his time at Cirencester as the most enjoyable period in his life In 2011, a new teaching facility at the college was named in his honour. For university applicants with a connection to Wales, a scholarship has been set up that carries the former principal's name. Royal Agricultural University graduates have won a number of awards and prizes, including the Farmers Weekly Young Farmer Of The Year Award (James Price 2009 and Adrian Ivory 2008). ↑ RAU - History & Heritage. Retrieved on 14 November 2015. ↑ "BBC News - "New" Universities Set to Be Created in England". BBC News. Retrieved 3 January 2015. ↑ "RAU welcomes more students as UCAS applications hit record high". RAU.ac.uk. 20 December 2013. Retrieved 23 November 2015. ↑ "The Complete University Guide Reveals Best, Worst Universities for Student-Related Crimes in South West". Thecompleteuniversityguide.co.uk. Retrieved 3 January 2015. ↑ "Top UK University League Tables and Rankings 2015". Thecompleteuniversityguide.co.uk. Retrieved 3 January 2015. ↑ "Royal Agricultural College - Cirencester - Gloucestershire - England". British Listed Buildings. Retrieved 3 January 2015. ↑ "RAU - Harnhill Manor Farm". Rau.ac.uk. Retrieved 3 January 2015. ↑ "RAU - Rural Innovation Centre". Rau.ac.uk. Retrieved 3 January 2015. ↑ "RAU website". Retrieved 7 November 2013. ↑ "RAU - Sports and Clubs". Rau.ac.uk. Retrieved 3 January 2015. ↑ "The Government Model Farm". Adelaide Observer (SA : 1843 - 1904). SA: National Library of Australia. 5 August 1882. p. 9. Retrieved 7 July 2015. ↑ "Sir Emrys Jones". Telegraph.co.uk. 14 July 2000. Retrieved 3 January 2015. ↑ "RAU - Buildings". Rau.ac.uk. Retrieved 3 January 2015. ↑ "RAU - Sir Emrys Jones Memorial Trust Scholarships". Rau.ac.uk. Retrieved 3 January 2015. ↑ "FW Awards 2009 winner: Young Farmer of the Year - James Price - Farmers Weekly". Farmers Weekly. Retrieved 3 January 2015. ↑ "Adrian Ivory crowned Farmers Weekly Farmer of the Year". Farmers Weekly. Retrieved 3 January 2015.